The kids get to enjoy their grandparents for a few weeks and boy are they happy! 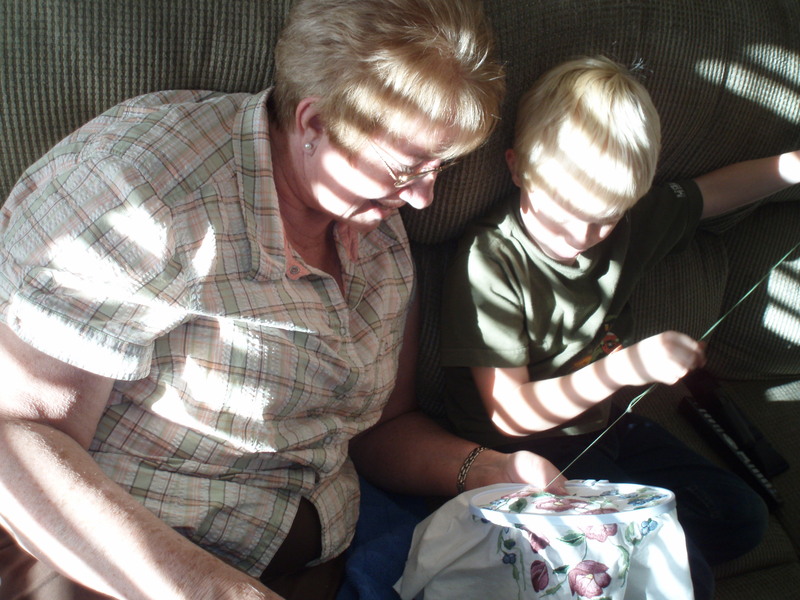 Taylor’s already gotten grandma to get out her needlework and let him help, and that was after he’d gotten grandpa going on his erector set – all within the first day of them being here. 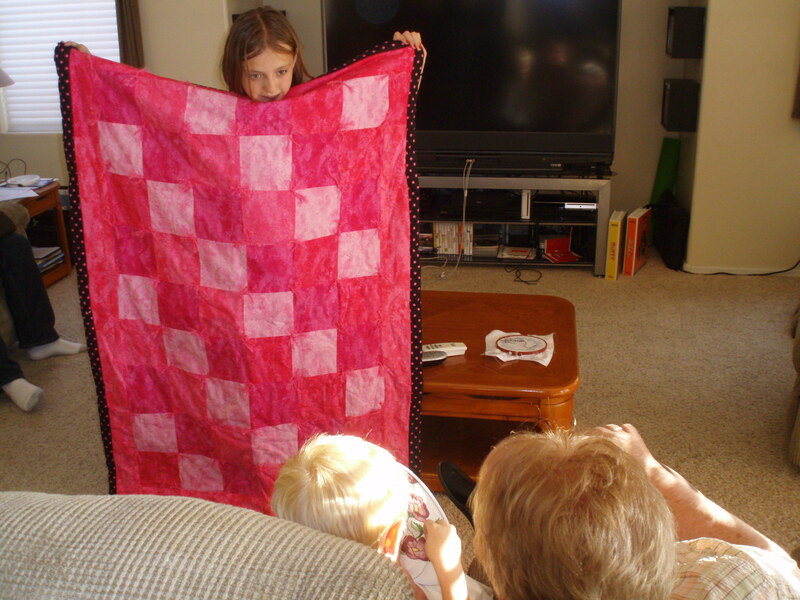 Not to be out done, Cidnie was quick to display her finished quilt since their last visit and had them watching New Moon with her Saturday night. 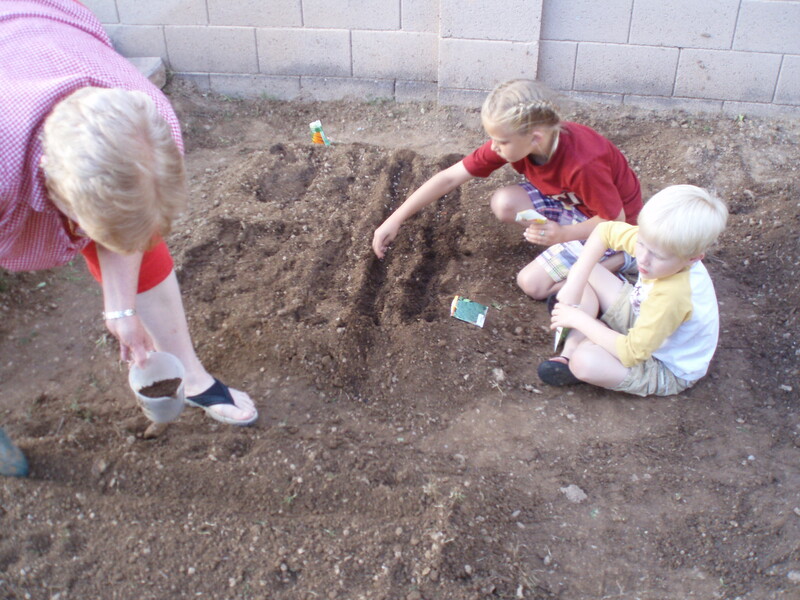 We spent yesterday evening in the yard pulling weeds and planting seeds. I’m happy for the help and I know mom is happy to get her fingers in the dirt, which is still covered with snow at her house. The weather has been perfect, right down to the rain this morning that watered the new seeds. I’m always reminding myself of how many treasures there are in the simple things. We’re planting our seeds soon too. Looks like the below-freezing temps at night are finally gone. I really want your pool even though we could only use it two months out of the year. You should come for a visit. It’s a great pool, wish the pool deck would fix itself though. And you have sugar police too! That’s funny! Glad your parents are there. My mom is coming into today so I can be at the doctors for more testing tomorrow. 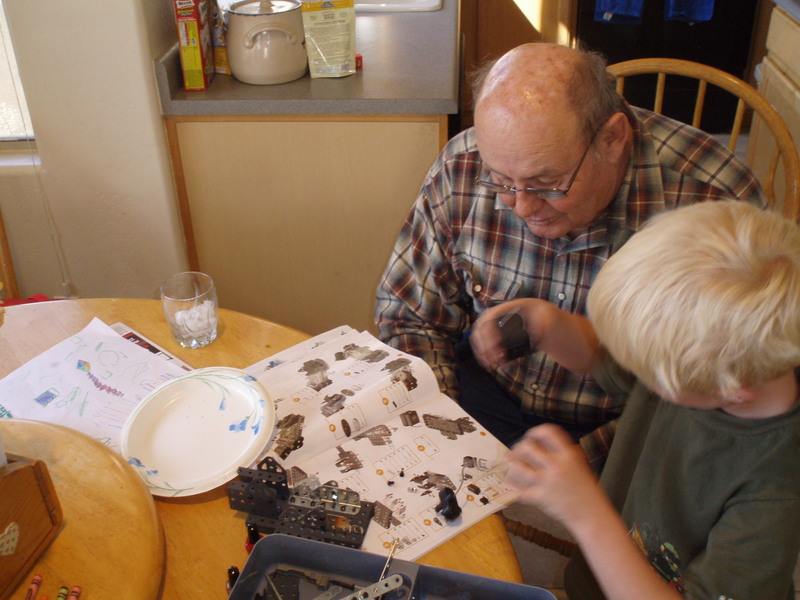 It’s always wonderful when your parents are around for not only the help, but the company. That’s great that you have so much help in your garden. Lots of love there!